Le transport d'un colissimo se fait généralement en 2 jours et le numéro de suivi permet de savoir où le colis se trouve à tout moment ainsi que le délai de livraison depuis l'expéditeur jusqu'au destinataire du Colissimo. Produced a little over two years after the hardcover first edition, this substantially updated paperback edition attempts to make sense of the recent tumultuous events in transport and energy. These include the highest ever oil prices, in mid-2008, followed by a 75-percent price plunge, an astonishing decline in vehicle sales, and a major economic recession from which, in mid-2010, recovery is not assured. 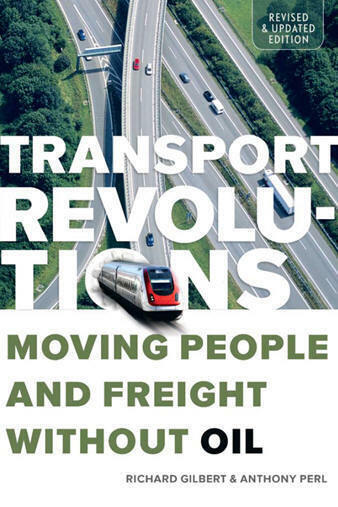 The book's main argument, informed by these recent events, is that revolutions in transport can be expected during the next few decades, chiefly because oil will become scarcer. The new edition maintains a worldwide perspective, with focuses on the U.S. and China. It considers all kinds of motorized transport, whether for moving people or moving freight. It looks back 200 years and forward to 2025. It shows how energy-first transport planning can help sustain the utility, convenience and comfort of motorized transport while using much less oil.